Tasco has been a popular choice in sports optics for more than half of a century. From binoculars to telescopes, Tasco products deliver the brightest, sharpest and most reliable performance for the dollar. 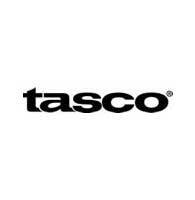 Designed to provide a lifetime of satisfaction, outdoor enthusiasts have chosen Tasco for more than 50 years. For more information about Tasco products visit www.tasco.com. Tasco Brand Materials will be available soon.